The Ford Edge vs. Nissan Murano: Which SUV has the Upper Hand? In today’s market, the SUV reigns supreme as one of the most versatile vehicles for everyday use. With all the places we have to go and things to do, you’re going to need an SUV that can do it all, both efficiently and perfectly. 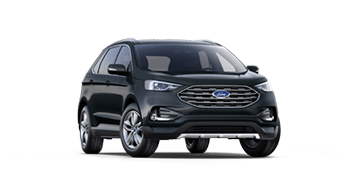 Luckily, the Ford Edge is one of the best choices in the market right now, thanks to its ample performance, interior space, and useful features. So how does it compare to other SUVs available? 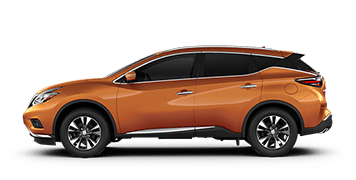 Let’s take a look at how the Ford Edge compares against the Nissan Murano, here at your Mississauga Ford dealer. One of the things that the Ford Edge does really well is producing more performance with less. For example, the Edge has better overall torque with its smaller 2.0L EcoBoost® Engine compared to Nissan’s 3.6L V6 engine, all while maintaining better fuel economy. It also helps that the Ford Edge has a superior 8-speed automatic transmission for more smooth and seamless shifting between gears. While the Ford Edge is marked at $2,000 less than the Nissan Murano, it’s able to pack in more for its price point to give you better overall value. How so? For starters, the Ford Edge gives you more passenger and maximum interior cargo volume, giving you, your passengers, and your cargo more space than you can imagine. Next, the Edge also gives you multiple options to control your vehicle’s settings, thanks to FordPass™ Connect and the FordPass™ app. With it, you can remote start/stop your engine, lock/unlock your vehicle, turn on/off the LED headlights and more! Plus, the Edge also has extra bonuses inside the cabin including a cargo net and extra 12V DC power outlet. Want to learn more? Take a look at the Ford Edge yourself and book a test drive, today!